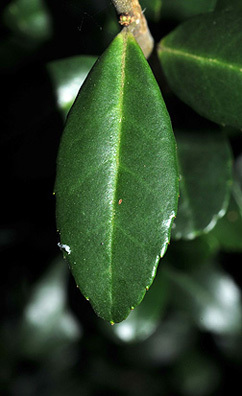 Leaf:Alternate, simple, evergreen, elliptical to obovate, very small (1/2 to 3/4 inch long), shallowly toothed on upper half or margin entire, shiny dark green above, dull light green below. 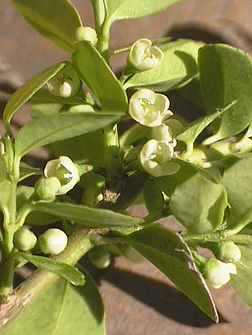 Flower:Species is dioecious; small (1/3 to 1/2 inch across) white, 4-petaled, pale greenish center, appear in late spring. 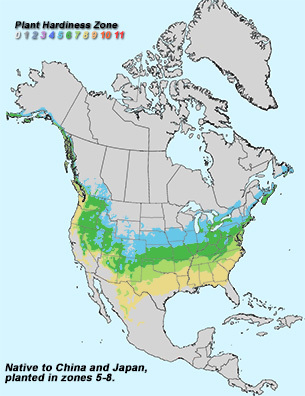 Fruit:Black, round drupe, 1/4 to 1/3 inch in diameter, ripen in early fall, persistent into spring. 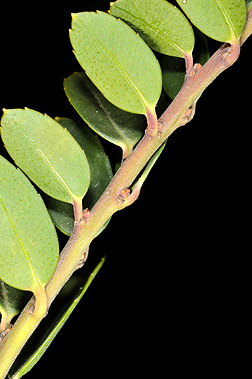 Twig:Slender, yellow-green, often pubescent, buds small, leaf scar with 1 bundle scar. 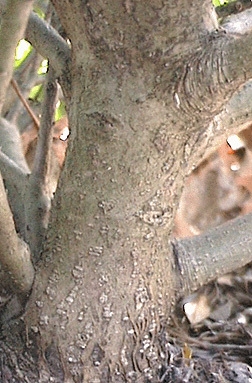 Bark:Smooth, light greenish brown to gray. 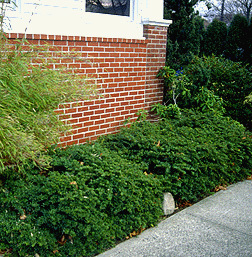 Form:Most planted cultivars are a small shrub with a very dense crown, rarely exceeds 3 feet in height. 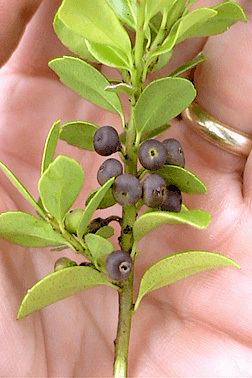 Some varieties are more upright and the native species is a small tree.